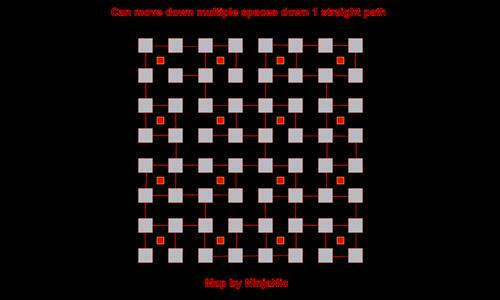 You can move down mulpiple spaces as long as they are all connected in a straight line. Review by Krulle on 3/31/2014. Review by MainstreaM on 3/31/2014. A must play, everyone! If you can win this one, you really understand the game! Review by Robc01 on 3/30/2014. I really like this map and the moves. Very challenging you really have to think on what to take and what to enforce on this one. Good job. Review by Archon on 5/25/2015. Review by sherron on 1/26/2016. This is an excellently balanced map. Just big enough to grow into, but short enough for a nice break from the world. Interesting I thought that just by looking at the map I knew what my strategy would be but when I realized rows and columns connected by a line where all connected my plan quickly changed, though some of the default bonuses do not do the area that needs to be captured justice. Review by EDMKramer on 4/21/2014.